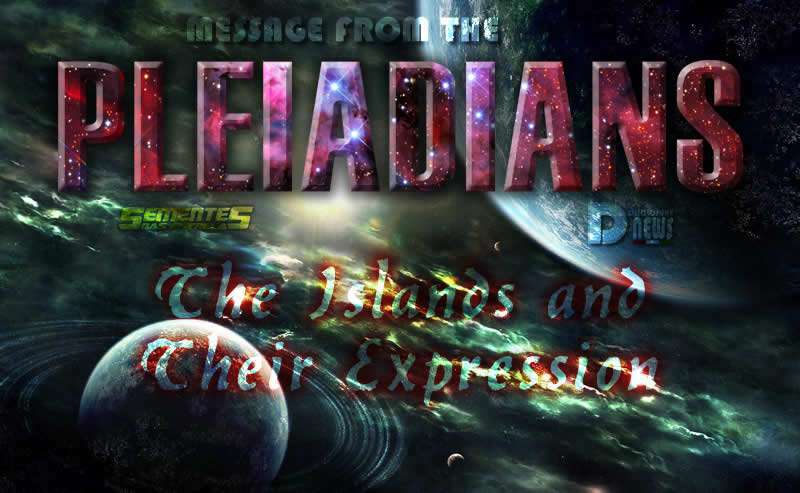 The Islands and Their Expressions Message from The Pleiadians. By Gabriel RL. 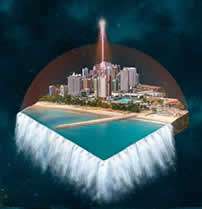 The Pleiadians report that a wave of Light Blue Light swept the Magnetic Island so powerfully that it quickly closed some of the Island’s gaps still exposed and prone to negative entrances. Of course, these “cracks” will never be opened again, and it’s up to those magnetic sustainers and the like to remain inviolable to prevent further openings. Of course, this does not mean that forces opposing to Love will not manifest and try to disrupt the plans already drawn by the Forces of Light, but surely a greater empowerment will be evident and, more and more, security will be seen in the works developed by the Allies of the Light Forces in this region. Three Braid-shaped Pillars of Light were seen being installed on the Island at three specific points not mentioned here. These pillars are as if they were “soldiers” in the celestial dome and planted in the floor of the Island. These braids of Light are of a brilliant neon-colored color with an energy that rises and descends from the top to the ground, quickly. They stay in a colorful hue for about a minute, and for two minutes they turn into a wonderful shade of blue. These braids are bringing more energies from the Magnetic Universe, called the Quadril 5. The Pleiadians add that it is not only about the energies of the Hip 5, but also of other Magnetic universes, such as Vitrol-X and EX-Prix. All this Magnetic concentration on the Island is causing extreme subtlety, giving the clear impression that “things” are not so solid. Those more sensitive can clearly perceive the subtlety of the environment as they enter the Island, since magnetism tends to make things more and more subtle. In extreme magnetism, things become dematerialized, manifesting only as pure energy, not “getting” to become denser due to this magnetism. They also report that there was a “rain” of Lapel Crystals all over the Island, spreading them all over the place! 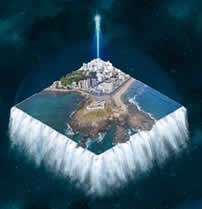 Several entities incarcerated in their own hatred were quickly raised to the highest spheres, and around 4:00 am on 11.6.2017, a large mother ship hovered over the Island, helping to harmonize the powerful present currents. They also said that this great activation of the last moment triggered activations of force-sustaining islands throughout the country. At first they inform me of seven powerfully activated new islands. They say that because of the movements that take place in this city, some people can turn one’s eye to that information and find an irony. And they say, lovingly, that this place is being prepared to be the sustaining base of the energy of Honesty. 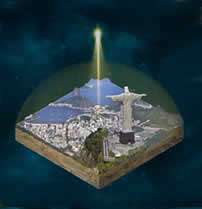 Therefore, those inhabitants of this Island must immediately begin to support this energy, for it will radiate to every country and planet. Those in this region are being called to sustain this force in order to radiate throughout the country and planet! Those with financial difficulties do not necessarily mean that they need to move there unless their hearts say so, but that surely, this region will begin to radiate this energy of prosperity, beginning to annul any programming of scarcity and powerlessness. Inhabitants of the Island, the projector was pointed! 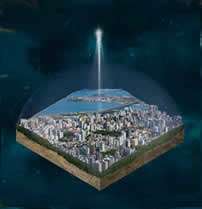 The inhabitants of this Island are receiving a specific projector: to sustain the energy of the Galactic Reconnection. 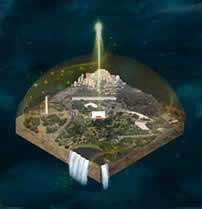 They will sustain and radiate the force of Unity and remembrance of the home to the other Islands and Planet, preparing the minds of humans for contact with the Ascended and the Galactic Forces. 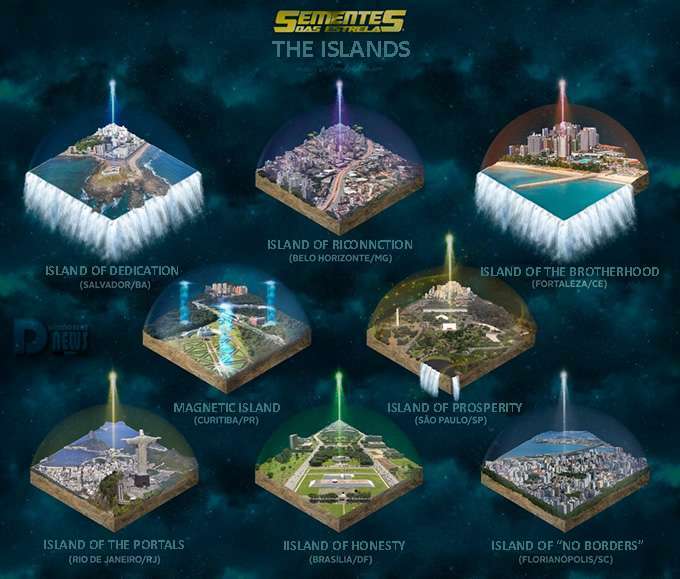 The inhabitants of this Island will of course have more contacts with the Galactic people and will radiate these experiences to the others.This does not mean that the other Islands can not have contact, but only that a specific projector is being pointed to that Island in support for the inhabitants. The inhabitants of this Island will radiate the energy of the Brotherhood to the other Islands, inspiring all the feelings of union and cooperation. A powerful projector of Ruby Gold color is being pointed there and calling all the inhabitants to connect and radiate all this wonderful energy! The inhabitants of this Island will be radiating the energy of dedication and commitment, inspiring the other Islands and the Planet, so that their dedication and loving commitment to something expands and assists in the growth of all and of themselves. They will inspire those who can not sustain for a long time something they wish to do, in order to get ahead with their necessary moves and developments! A Dark Blue projector is being pointed at this Island. 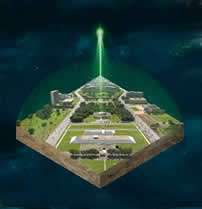 On this Island, all its inhabitants are receiving a powerful projector that will radiate to other Islands and to the Planet, a projector that will inspire people to Unity and the idea that there is no need of a border between people. The inhabitants of this Island can, if tuned to the task, perform meditations where they should visualize all the borders of the planet being dismantled and all the peoples united, without prejudices and fears; Visualize Love and Compassion reigning between the towns and the complete disarmament of weapons of mass destruction , built on top of a false slogan of “national security.” Islanders, connect and break the borders! On this Island there are several portals scattered everywhere, and the inhabitants are being called to radiate and activate, mainly, the portals of Compassion and Benevolence. Gavea Stone is one of the most powerful points of the place. Inhabitants of the Island radiate the energy of Compassion and Benevolence, as well as inspire the other Islands to reopen portals closed long ago. 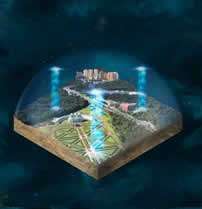 Each island naturally has its own specific portals, and every inhabitant of it will also feel what has to be activated. A yellow-gold projector mixed with bright white is being pointed and is waiting to be sustained by all the inhabitants of the Island. That at least those who read our Bulletin may be attuned to these truths and radiate to those who are not, so that they can reactivate the portals within themselves and become one more in the task. Is responsible for anchoring and sustaining the Magnetism, the Force that helps in the dissipation of the extreme Materialistic Ideology and reconnects the BEING to the SPIRIT, inspiring it to LOVE WITHOUT LIMITATIONS, and giving him, again, the truth that ALL IN CREATION IS ENERGY, AND IS ETERNAL. Several magnetic beings are incarnating on this Island and/or coming from other Islands and are being inspired according to their soul plans. This Island has something interesting: because of Magnetism, it helps, quickly, in the Creation of not materials Sublimed Moments. It helps souls to have the most sublimated experiences that their transforming carbon bodies can sustain. The inhabitants of this Island are called to always maintain Lovingness and to transform any extreme materialistic energy in smoothness and balance. Balance between matter and SPIRIT is necessary so that you can have more elevating experiences. Being a thin island that doesn’t let the energy of matter “dominate”, the intense Magnetism present helps to always give an air of Living Spirituality, which naturally equilibrates with the existing subtle energy. The human mind is programmed for materiality, but those who enter the Island are strongly attracted to something beyond matter, for as materialistic they may be. Present Magnetism is powerfully attractive. Attractor for the SPIRIT. Because of these deliveries of informations, beings who act in the low vibrations and feel guardians of these regions, are extremely irritated with Gabriel RL. It is asked, then, that loving projections be sent to him, forming around him a dark blue quantum field of protection, preventing the radiations of these brothers to arrive and radiate on him. Despite the presence of the Zil Master Code the irradiations can still arrive and an “Extra Hand” is requested. The Pleiadians also report that there are many blocks of information. I, Gabriel, will bring more Islands, as the next Bulletins come out. Whenever I get a lot of information like this, I get a bit tired because I have to decode all the blocks of information they send. I act, in this case, as a quantum translator. I will bring information about all the Islands of the Country (Brazil), and what else they wish to inform. Se i politici si occupassero di poesia e i poeti di politica, forse si vivrebbe in un mondo migliore. Thank you so much for your love of Gaia and humanity, dear Gabriel.